Highly acclaimed, multi-award-winning cuisine, all day, all year round. Lovely guest rooms, family rooms, suites, many with river views, all with free WiFi. 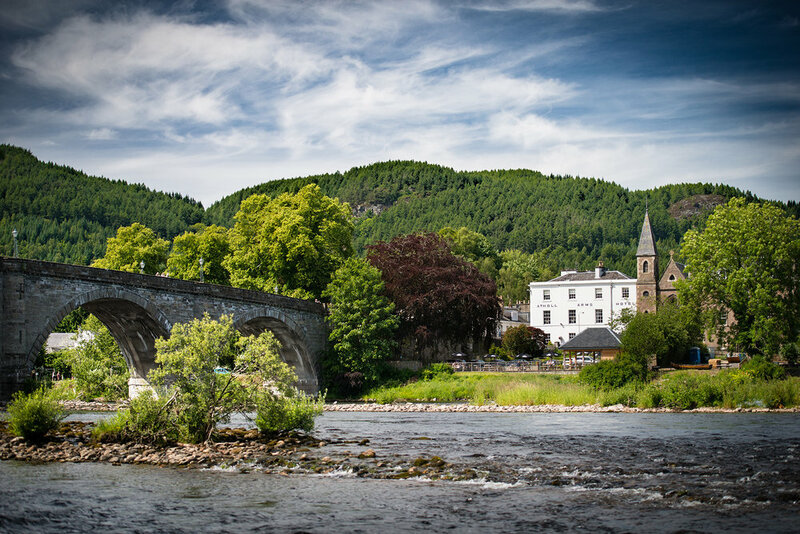 Surrounded by the amazing vistas of Highland Perthshire & the best beer garden in Scotland. With stunning walks and scenery to explore & sniff. Dog supplements are just £15 per dog per night, and includes a dog mat, towel, water bowl and dog biscuits.